Available on all equipment when TPS performs your installation, or start-up and training service. TPS Out of Autoclave Solutions. The world is full of products that require thermal processing and environmental testing. Most of the products that shape our lives have been manufactured or tested with equipment supplied by the TPS family of brands. From industrial ovens, furnaces, pharmaceutical sterilizers, and laboratory ovens to environmental temperature chambers and stability test chambers, TPS products provide thermal processing and test solutions for a range of industries. These industries include defense, aerospace, electronics, biotech, medical, pharmaceutical, lab animal science, energy, transportation, communications, commercial heat treating, die casting, agriculture, and materials processing to name a few. Take a moment to watch a brief overview video on the many products that are manufactured or tested in a TPS piece of equipment. From composite curing ovens to epoxy curing ovens, TPS has a vast range of top performance industrial ovens for your application. With maximum temperature uniformity, superior heat ramp up and recovery, and over-temperature protection, our industrial ovens are ideal for powder coat curing, annealing and more. Choose from mechanical convection, inert gas, top-loading or bench ovens. 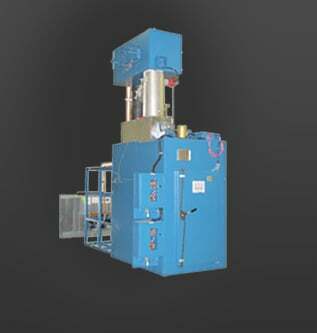 TPS has both Gruenberg and Blue M ovens for composite drying, pharmaceutical granulation drying, hardening synthetic materials and more. Superior airflow and temperature capabilities ensure uniform moisture removal, while a range of models with HEPA filtration, NFPA 86 Class B and inert atmosphere features meet the toughest industry requirements and safety standards. In 2004, TPS recognized that the industry lacked a source for high quality used and refurbished environmental chambers and ovens. Sure, there are many sellers of TPS used and refurbished equipment, but the quality of this equipment was not up to par with our expectations. For this reason TPS decided that it was time to enter the refurbished equipment market. What started with a desire to service our smaller and short notice customers has grown to make us a major player in the refurbished environmental equipment market. Our lab furnaces are used in many applications and are designed to function within a range of temperature zones. The engineers at TPS can design a custom oven or chamber that meets your application’s unique challenges and strict requirements. Extreme temperatures, humidity, altitude, vacuum testing, inert atmosphere . . . we have the unlimited design capabilities to create a testing solution that’s right for you. Don’t believe we have what you need? Read our custom industrial oven stories to see our true abilities. From composite curing ovens to epoxy curing ovens, TPS has a vast range of top performance curing ovens for your application. 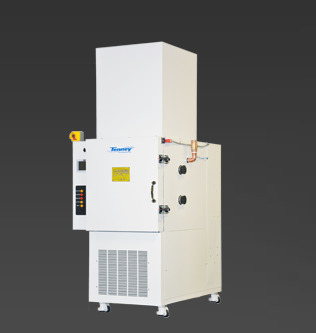 With maximum temperature uniformity, superior heat ramp up and recovery, and over-temperature protection, our ovens are ideal for powder coat curing, annealing and more. Choose from mechanical convection, inert gas, top-loading or bench models. Environmental Walk In Rooms can simulate temperature, humidity and stability conditions for large-scale environmental testing. Ideal for automotive and aerospace industries, our walk in environmental chambers are available in standard and custom sizes, with single stage or cascade refrigeration. 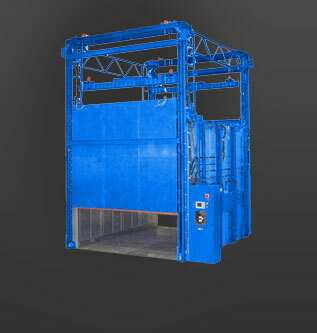 Modular units simplify shipping and assembly but provide superior energy efficiency. Put your product to the test. We have temperature chambers, humidity chambers, altitude chambers, vacuum chambers, stability chambers, environmental chambers and more. TPS test chambers recreate virtually any climate or condition and come in a range of sizes, from benchtop and reach-in to walk-in chambers. Our chambers have excellent temperature and testing uniformity.